Dr. Neeraj Kohli always appreciates feedback from his valued patients. To date, we’re thrilled to have collected 34 reviews with an average rating of 4.88 out of 5 stars. Please read what others are saying about Dr. Neeraj Kohli below, and as always, we would love to collect your feedback. The bladder Botox experience was far better than I ever imagined! I'm having such success with this, it is almost magical! It worked much quicker than I thought it would and I would recommend it to anyone who has this incontinence problem. Dr. Kohli is just marvelous! I hope more doctors know about this because I never knew this existed before seeing him! Dr Kohli is a fantastic doctor! He’s a shining star in his specialty! My most recent surgery has improved my continence management by 90%. I’m so grateful! He’s professional, efficient and a caring soul when you are in his care. After discovering an issue from a previous surgery done elsewhere, I was able to quickly get an appointment with Dr. Kohli. I was very anxious and upset about my issue but Dr. Kohli was very understanding and reassuring that it could be fixed. He calmly explained everything, gave me the best options for my treatment, and thoroughly answered all of my questions. I never felt pressured to make decisions or rushed with my questions. Even though he has many patients, when you meet with him, you really feel like he is focused on you and truly cares about the best outcome for your treatment. Its been a long process, but Dr. Kohli and his staff have been very professional, courteous, and helpful along the way. In the end it was all worth it because I finally have my life back! Thank you Dr. Kohli! 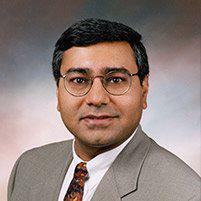 Dr. Kohli and his team are very knowledgeable and skilled in urogynecology issues. I had no hesitation in booking my surgical procedure with him and the results far exceeded my expectations. Dr Kohli is amazing Not only a talented surgeon but personable, optimistic and reassuring. His office is well run and efficient as well. Within 24 hours of my complex surgery via minimally invasive technique, I was simply on Tylenol for discomfort. Within weeks the scars were barely visible. On a scale from 1-10 with 10 being the best, he is a 15! My experience with Dr. Kohli and his staff was very positive. I am 100%pleased with the outcome of my surgery and enjoyed being his patient. I had to have a second procedure, but now I am very satisfied with the results. I think he is absolutely terrific, as this is a very difficult field, but he makes it easy and is very kind and reassuring, as well as the office staff. After surgery or pelvic prolapse and stress Incontinence, took advantage of the emsellar chair. I had doubts about it but noticed immediate results. I would highly recommend both Dr. Kohli and the chair therapy. The results were great. Quick, easy, painless. -And a charming deskside manner. I have to say, I put my procedure off for a couple years. Nervous about reviews I’ve read about the Mesh procedure made me apprehensive about going through with it. I finally decided to put my faith in Dr Kohli’s hands and never regretted a single moment! Him and his staff were and still are very professional. He fixed my stress enduced incontinence, my vaginal prolapse and even did a couple “extras” which have impacted my life tramendously! I have more confidence in myself! It took a good 4 weeks before I felt better and a total of 6 weeks before I felt normal. The length of the recovery time is totally work it! I’m not even 50 yet so I’m kicking up my physical activity again and I feel younger than before! I should have had this done sooner! I’ve been telling all of my girlfriends and felt I needed to share this with others who are considering putting your faith in Dr Kohli’s hand. Don’t wait! Dr Kohli and his team are amazing. Was suffering for many years and so glad I finally found him. Made the diagnosis quickly and got me better within weeks... Thank you! I was nervous about the procedure, but Dr. Kohli put me completely at ease. He is a truly caring doctor with the ability to make smart diagnoses. His office was very professional and helpful. I highly recommend him.